In the beginning of February, Bosnia and Herzegovina reminded of itself again and seriously worried, especially its neighbours which, with terror, recalled the bloody wars that accompanied the break-up of former Yugoslavia in the beginning of the 1990s. The mass protests that erupted across the federal state raised many issues the most crucial of which are two: has the EU not abandoned Bosnia and Herzegovina letting it float down the river of the process of association with the EU with a receding instead of closing up perspective for start of negotiations. Is the state construction of Bosnia and Herzegovina still valid, is the second question, especially against the backdrop of the unresolved with years problems that have accumulated precisely because of the difficult architecture agreed after painful negotiations in Dayton in the 1990s. Alas, because of the crisis with Ukraine, the EU has failed to pay the necessary attention to the issue apart from discussing the situation during a meeting of the foreign ministers of the Union on February 10th. Bosnia, however, is not forgotten by its former mates from Yugoslavia - Croatia and Slovenia. The Croatian foreign ministry has developed a proposal for consultations on a change of the approach toward BiH. According to Vesna Pusic, first deputy prime minister and minister of foreign and European affairs, an innovation is needed in the process of enlargement, especially in terms of Bosnia and Herzegovina to enable the country move out of the current deadlock. 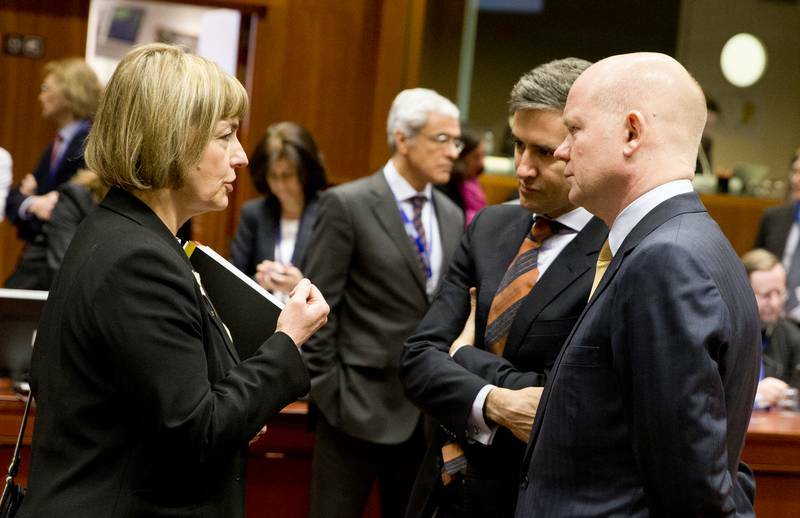 In the proposal, it is pointed out that the events in BiH cause serious concern and demand direct intervention by EU. "The European perspective is still supported by most citizens of the BiH as a common denominator and it is seen as the only tool for steering the country in the right direction. Therefore the immediate action of the EU institutions and member states is necessary", is written in the Croatian concept. It circles around the provision of a status of a special candidate country to BiH because the beginning of accession negotiations will allow the country to mobilise the internal democratic forces to implement the reforms which the EU requires now as a precondition to start accession negotiations. The fundamental logic behind a new approach of the EU toward the country should be a proposal for membership, but upon one condition: the pace and progress of the Bosnian integration in the EU to be bound with the pace and progress of the internal political and administrative efficiency. Zagreb sees a possibility this new approach to be applied as early as October when there will be elections in BiH and there will be new governments. The proposal sees the process in two stages. The first is a pre-accession one and precedes the definition of the negotiations framework, while the second is the very process of negotiations itself. Croatia sees the first stage as a form of special preliminary screening or inventory of the constitutional and administrative systems of BiH with a view of defining the tasks for establishment of joint central institutions which are key to the efficient negotiations with the Commission. This phase foresees the so long awaited by the Commission constitutional reforms, amendments to the electoral law and application of the ruling of the European Court on Human Rights on the Sejdic-Finci case. Those are issues which are usually being resolved in the negotiations on chapters 23 and 24, but in the BiH case this could be part of a broader process that clearly leads toward European membership, according to the Croatian vision. "The Commission has already been very successful in adapting its negotiations’ methodology in the case of Croatia which, based on some previous experience, negotiated under different requirements and rules from the countries that joined earlier. That model was additionally modified for Montenegro. Finally, in the case of Serbia, normalisation of the relations with Kosovo was not treated as a prerequisite for starting the EU accession negotiations, but as an ongoing process that will be finalised together with the negotiations process itself. That approach opened the way for finding a solution to that problem and normalisation of relations, together with setting Serbia on the EU path", says the Croatian non-paper, pointing out that this approach could prove as successful for BiH, too. Croatia also believes that the EU should pay serious attention on the country's economic instability because of which, as the proposal reads, the society in the country is more and more divided and polarised. It is important the EU to ensure funding for the pre-accession programme IPA in a combination with bilateral aid assistance. Funding should be targeted to specific projects which could have tangible effect on stabilisation, social inclusion and the economic development of the country. The budget of IPA in 2013 was 47 million euros, mainly allocated for building of institutions and administrative capacity. According to Croatia, though, the programme should be complemented by bilateral assistance aimed at supporting national institutions but with a major focus on non-governmental organisations in order to establish "a well-informed and proactive civil society scene that would assist in the gradual transformation of BiH society", says the Croatian proposal. During her visit in Sarajevo in March, Ms Pusic noted that the non-governmental organisations have a huge potential which she had not paid attention to before. There is political will in the country for work with NGOs. But is there strength, is another matter, she said after her meetings during which she presented the Croatian initiative and got unanimous support. At this stage, though, it is more important if the EU is ready to think about a new approach. According to Ms Pusic, on this issue, the division in the Council is into relatively three groups. Some of the countries are strongly enthusiastic with the idea which was already discussed in the Foreign Affairs Council, but without conclusions. The second group are countries which have reserves and the third group is of neutral countries. 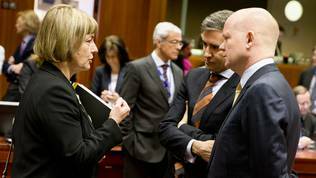 In order for the initiative to be successful, however, it needs to turn into a common European one, Ms Pusic believes. One of the countries that supports enthusiastically the Croatian initiative is Slovenia. The country's Foreign Minister Karl Erjavec has an initiative of his own on the matter - a petition which he sent in February to baroness Catherine Ashton. The purpose of the petition is to push the situation in Bosnia and Herzegovina up on the EU agenda. In spite of its own initiative, Slovenia does support any ideas which could help improve the situation in BiH. Responding to questions by euinside via e-mail, the Slovene foreign ministry points out that the EU should commit to BiH at the highest political level. The EU should be a facilitator, not a decision-maker. Slovenia, too, sees the process in two stages. The first package of measures are short-term which can immediately be launched, even before the elections. They should be aimed at the immediate concerns of the citizens - economic, social and the perspectives for the young people. The second package is of long-term measures which could be complemented by what the Croatian side proposes. The main aim should be modernisation of the country and the implementation of constitutional changes. Slovenia is against any changes in the territorial construction of BiH, but admits that work is needed on the system for decision-making in the country and the functioning of the administrative system. euinside sought the position of Slovakia, too, whose Foreign Minister Miroslav Lajcak is very closely committed to the development of the Western Balkans and their European integration. But, for now, Bratislava is refraining from commenting on the Croatian initiative until the next Foreign Affairs Council which will take place on April 14-15. Then the ministers may adopt conclusions on Bosnia and Herzegovina. Vesna Pusic believes, however, that in order for the initiative to be successful it should be supported by the big EU members and not simply be supported but apprehended as their own. Moreover, Croatia does not insist on the ownership of the initiative and is ready to support any text if it is common European one and if it is aimed at restarting the European integration process and forces in Bosnia and Herzegovina. The future of the country is one of the main topics on the agenda of the Croatian society. MEPs from all political groups are actively engaged in the search of a solution at European level. Croatia's President Ivo Josipovic, too, firmly stands behind the initiative. He said in Sarajevo yesterday that the most important thing for BiH is to start the European integration which will mark the beginning and the solution of the internal political and economic problems. "There is no better direction for the integration of the countries from South-Eastern Europe than a membership in the EU", the Croatian head of state said. The Croatian initiative deserves admirations and should be supported because in the past years it has become clear that the EU enlargement strategy is not sufficiently adequate to secure the desired outcome. Bosnia has already demonstrated how dangerous a deadlock can be. What Zagreb actually offers is an upgrade of the high level dialogue Stefan Fule, the enlargement commissioner, launched a few years ago. However, that dialogue was left entirely without the commitment of the member states. Croatia wants this to change. Ukraine cannot be used as an excuse because there will always be an immediate big problem to be resolved - be it the eurozone crisis, the drafting of the Lisbon treaty or the handling of the Ukrainian crisis. This should not be a reason not to pay attention to all the other problems which might not be evolving into crises but are small smouldering hearths. It is very important the Foreign Affairs Council to come up with specific conclusions so that immediate work on the change of approach with Bosnia and Herzegovina can begin before the end of this mandate of the European Commission. Moreover, both Croatia and Bosnia and Herzegovina are completely aware that a possible new approach does not mean lowering the criteria for accession. On the contrary. Quoting from the article “Is EU Ready To Change Approach toward Bosnia and Herzegovina? My Comment: Why was the term “faith” used in the 1947 document, while the term “religion” is used in the second document? A “faith,” can be ignored or at least defined differently if one is defining “religion” as only the “accepted” or “government approved” or “United Nations approved” faiths and/or religions. Small changes in terminology can lead to vast changes in policy concerning what is and is not an “acceptable” faith or religion. If this is interpreted to mean ONLY “faiths” or “religions” OFFICIALLY approved by the big EU members in the UN, the rights and freedoms of many might be shot to Hades. Loyal adherence to a world organization of all nations, great and small, under the same law and equity, and with power to enforce strict observance of all international obligations freely entered into . . .
c) Respect for the language, faith, laws and customs of national minorities . . .
We see civil society as constituted by free citizens, living within a framework of established law, with individual rights guaranteed, with the powers of government limited and subject to democratic accountability . . .
4. The tension between self-government and human rights.